FinCEN (web site here) has announced here a Notice of Proposed Rule Making (NPRM) for changes in the FBAR requirements. The press releases advises that, in formulating the NPRM, FinCEN worked closely with the Department of Treasury, Office of Tax Policy and the IRS, but FinCEN retained authority to revise the regulations. • Includes provisions intended to prevent persons from avoiding reporting requirements. • Defines a "United States person" required to file the FBAR and defines the types of reportable accounts such as bank, securities, and other financial accounts. • Exempts certain persons with signature or other authority over, but no financial interest in, foreign financial accounts from filing FBARs. • Exempts certain low-risk accounts e.g., the accounts of a government entity or instrumentality for which reporting will not be required. • Exempts participants/beneficiaries in certain types of retirement plans and includes a similar exemption for certain trust beneficiaries. • Clarifies what it means for a person to have a "financial interest" in a foreign account. • Permits summary filing by persons who have a financial interest in 25 or more foreign financial accounts, or signature or other authority over 25 or more foreign financial accounts. Also permits an entity to file a consolidated FBAR on behalf of itself and the subsidiaries of which it owns more than a 50 percent interest. According to the Administration, by handling matters in this way, Switzerland will be able to process the US request for information by the end of August 2010 deadline, as set in the agreement. It notes however, that the SFTA will not pass any data on to the IRS until the UBS Agreement has been approved by Parliament. The only exceptions to this rule are those cases in which the person concerned has given their express consent to the data transfer, or has reported themselves to the IRS under the latter's voluntary disclosure program. See alsos other press reports here. Cyrus Vance Jr., the new Manhattan district attorney, is trying to step out of the shadow of Robert Morgenthau by doing more of what made his predecessor famous. Six weeks into the job, the 55-year-old Mr. Vance has hired two veteran white-collar prosecutors and is launching an effort to prosecute New Yorkers who evaded taxes through offshore accounts. The tax-evasion cases are a spillover from the Justice Department's yearslong probe of Swiss bank UBS AG. Federal prosecutors can't handle all of the cases, so they have handed some of them to Mr. Vance's office. A Justice Department spokesman declined to comment. One of the cardinal rules of filing an amended return to fix a criminal problem in the original return is to file a nonfraudulent amended return -- better still, an amended return foregoing even really aggressive, even if arguably, nonfraudulent positions. This rule applies to quiet and noisy voluntary disclosures. The reasons should be apparent: (1) if the amended return is fraudulent, the taxpayer has done nothing more than compounded the problem, has refreshed the statute of limitations and potentially has done a separate obstructive act (i.e., the amended return is intended to give the false appearance that he has cleaned up the problem); or (2) even if the amended return is nonfraudulent, but very aggressive positions that arguably do not cross the line could still poison the atmosphere should the IRS choose to focus on the amended returns to test whether the taxpayer has met the condition for voluntary disclosure that he or she fully cooperate. Salisbury made large profits from these transactions but failed to pay all of the taxes on them. In the years for which he was convicted, 2000 and 2002, he reported no relevant income in the first year, and $ 247,888 in the second. After the controversy [about his allegedly illegal activities], Salisbury filed amended tax returns to account for some, though not all, of the additional income. In those amended returns he included an additional $ 16,500 in income in 2000 and $ 71,036 in 2002, both accompanied by the explanation that "Taxpayer thought items were not to be reported as income until sold." According to the government, even after Salisbury amended his returns he still had understated his income by $ 298,749 in 2000 and by $ 622,372 in 2002, meaning that he should have paid an additional $ 119,896 and $ 241,581, respectively. Salisbury's expert, William Jessee, used a different accounting method in concluding that Salisbury understated his income by just $ 12,574 in 2000 and by $ 813,109 in 2002, corresponding to tax liabilities of $ 3,787 and $ 399,129. I have no comment that the reader has not already figured out by just reading the quoted information. The key point for purposes of this blog is to reinforce the verity that amended returns to qualify for the voluntary disclosure practice must be good returns -- i.e., must themselves be nonfraudulent and the better part of wisdom is to forego the really aggressive positions. I previously blogged here the Third Circuit panel decision in United States v. Rigas, 584 F.3d 594 (3d Cir. 2009). The Wall Street Journal today has this summary of the oral argument on Wednesday in the en banc rehearing of the case. I have previously blogged here on the stunning not guilty verdict in the Virgin Island’s residency issue. I thought I would share excerpts from the jury instructions in the case. (Thanks to Chuck Meadows, a lead defense lawyer in the case, for provising them.) The portion related to the tax crimes allegations may be viewed here. I provide below a subset of those excerpts dealing with the economic substance / sham transaction issue. My question to readers is whether these instructions give a jury meaningful guidance on the economic substance issue? The court equates lack of economic substance and sham transaction which I think is defendant friendly because, I believe, lack of economic substance as the Government imagines it in criminal cases is a broader concept than sham transaction. 101. The third way in which the government seeks to satisfy the first element of income tax evasion, that is, that Mr. Auffenberg claimed false deductions against his income, is based on the legal principle that for transactions to be recognized for tax purposes, they must have economic substance. In other words, even if a transaction complies precisely with all requirements of the Internal Revenue Code for obtaining a deduction, if it lacks economic substance it simply is not recognized for federal taxation purposes. 102. The taxpayer has a legal right to decrease the amount of what otherwise would be his taxes or altogether to avoid them, by means which the law permits. However, the first of two critical questions is whether what was done, apart from the tax benefits, was the thing which the law intended. If it was not, you must then answer the second question, which is whether the defendant willfully engaged in such conduct for the purposes of evading taxes. I will explain the concept of "willfulness" to you momentarily. 103. In determining whether a particular transaction is a "sham," that is, whether it lacked economic substance, you are instructed to consider the overall circumstances surrounding the asserted transaction. Furthermore, when presented with a series of related transactions, the income tax effect of these [*42] transactions can only be evaluated by viewing the series of related transactions in their totality. It is the economic reality behind a series of interrelated steps viewed as a whole that matters. 108. For the counts of income tax evasion, conspiracy to defraud the United States, and other specific counts set forth in these instructions, the government must prove beyond a reasonable doubt that each defendant acted willfully. For you to find that a defendant acted "willfully, you must find that he voluntarily and intentionally violated a known legal duty under the tax laws. 109. The defendant's conduct was not willful if he acted through negligence, mistake, accident, or due to a good faith misunderstanding of the requirements of the law. A person acts in "good faith" when he or she has an honestly held belief, opinion, or understanding regarding the law, even though the belief, opinion, or understanding turns out to be inaccurate or incorrect. Thus, in this case if a defendant made an honest mistake or had an honest misunderstanding about the law, he did not act willfully. For Judge Kaplan's further elaboration on what this means, see his excerpted jury instructions here. I recently wrote here on the OPR collateral consequences of tax crimes and conduct that might be tax crimes. That blog was about the buzz created by the Appellate Authority’s dicta ruminations that perhaps something less stringent than the Cheek criminal willfulness standard is appropriate for sanctions that require willfulness. I suggested that willful is a term of art that should continue to be interpreted as it has in the past. I do acknowledge the comment by one of my co-authors on Tax Crimes, Steve Johnson, that, in the real world of deciding these cases, it is unclear whether different results would obtain in the real world even if a somewhat less stringent interpretation were used. See Jeremiah Coder, Is a New Willfulness Standard at Play in Circular 230 Hearings?, 126 Tax Notes 718 (Feb. 8, 2010). As to whether a person has an obligation to file a tax return and when, and whether that question falls into the first category or the second, the Supreme Court has also answered that question, albeit in a different context. In Boyle, the issue before the Supreme Court was whether the duty to file a tax return was personal or could be delegated to a tax advisor assisting the taxpayer (in that case, an estate fiduciary). The Supreme Court found that the duty to file a tax return was a nondelegable duty and that the person with the duty to file could not rely on a tax advisor to do so and thereby remove himself from exposure to penalty. In doing so, the Supreme Court distinguished between situations where it was reasonable to allow a person to rely on an attorney's or accountant's advice (as when determining whether a liability exists) and situations where one does not have to be an expert to know that an obligation exists (such as knowing that tax returns have fixed filing dates and that taxes must be paid when due). 469 U.S. at 249-251. Given that the Instructions in the Form 1040 packages for the years in issue and for each taxable year since I began practicing tax law (in 1971) have clearly set forth who had an obligation to file a Federal income tax return each year, I find it improbable that Respondent-Appellant would have honestly believed that he only had a duty to file a Federal Income tax return if he had tax liability. n13 In any event, I find such a belief, even if honestly held, objectively unreasonable and hence not a defense to willfully failing to timely file his returns for 2000, 2001 and 2003. I therefore find each of Respondent-Appellant's three failures to file to have been "willful." n13 In each of the three years in issue, the obligation to file a Federal income tax return depended solely on the taxpayer's filing status and whether the taxpayer(s) gross income exceeded specified "floor" amounts that differed based on the taxpayer(s)' filing status. In the proceeding, OPR was required to prove willfulness by clear and convincing evidence. Yet the Appellate Authority seems to have based his decision more on a hunch of improbability, hardly the stuff of clear and convincing evidence and, moreover, articulates a standard of willfulness that is not the Cheek standard. Chandler was not a protestor or defier case in which the defendant was raising constitutional arguments that he was not subject to tax (a defense in any event foreclosed by Cheek). The issue in Chandler was whether he had the required mens rea – in this case, willfulness – to have committed the conduct alleged and whether OPR had shown that by clear and convincing evidence. My reading of Cheek is that objective unreasonable but sincerely held beliefs are not willful. I find the Appellate Authority's discussion of Boyle as somehow mitigating that standard to be unconvincing. So, my reading is that, although he said he was applying the Cheek standard, he did not. On 2/16/10, according to a DOJ Tax announcement here, one Dr. Andrew Silva pled to a Klein / defraud conspiracy and to making a false statement (presumably 18 U.S.C. § 1001). On its face it would appear that DOJ Tax is upping the ante. (See also Main Justice discussion here.) Previously all that was required was a single plea – the defendant could take his pick between a tax perjury count and an FBAR failure to file count. The maximum sentence for Dr. Silva's plea counts of conviction is 10 years in the aggregate (5 years each count). One might infer that DOJ Tax is ratcheting up as one way of telling the target community that it will get steadily worse as an inducement to come to the table sooner rather than later. I recently blogged here a surprisingly light slap on the wrist from OPR for what appears, on its face, to have been very serious tax misconduct. That slap on the wrist came from a negotiated settlement with OPR. Now, I want to address what does or can happen if the practitioner does not settle with OPR. In a recent proceeding here, OPR and the practitioner, a prominent tax attorney, failed to settle a dispute over whether the taxpayer's failure to file timely (substantially delinquent returns were filed for 5 years) and the practitioner's failure to file at all (for one year) constitute disreputable conduct. The pertinent provision of Circular 230, Section 10.51(f) provides that incompetence and disreputable conduct includes "[w]illfully failing to make a Federal tax return in violation of the revenue laws of the United States . . ."
OPR found the practitioner's conduct at least in failing to file the return altogether to sanctionable under this provision. OPR wanted a 48 month disbarment. The practitioner wanted no disbarment because of extenuating circumstances (notwithstanding the fact that, during the period, the taxpayer did file for extensions and was otherwise competently representing his clients before the IRS). In such cases where the practitioner and OPR do not agree, the OPR can bring a proceeding before an ALJ who then makes a preliminary determination on the issue. In this particular case, the ALJ determined that the returns that were delinquent were not disreputable conduct, apparently thinking that filing the delinquent returns established that the taxpayer had not willfully failed to file. Respondent filed his 2000, 2001, 2003, 2004, and 2005 returns late and failed to file his 2002 return. I find that these failures, if willful, are all disreputable conduct under section 10.51(f). The ALJ found that the language of section 10.51(f) does not include late filing of returns. The ALJ focused on the initial language of "willfully failing to make a Federal tax return" and did not address the language "in violation of the revenue laws of the United States" which immediately follows. I.R.C. §§ 6011 and 6012 set forth the general requirements for filing returns and who must file an income tax return. I.R.C. § 6072 sets forth the time for filing income tax returns. I.R.C. § 6081 provides that the Secretary may grant a reasonable extension of the time for filing returns but no more than six months. Failing to file a return within the time requirements of I.R.C. §§ 6072 and 6081 is in violation of the revenue laws of the United States even if the return is ultimately filed. Accordingly, willfully failing to timely file a return is disreputable conduct within the express language of section 10.51(f). The Appellate Authority has held that repeated failure of a practitioner to file his or her Federal income tax returns in a timely manner constitutes a willful violation of sections 10.51(f) and 10.52. See Director, OPR v. Martin M. Chandler, C.P.A., Complaint No. 2006-23 (Decision on Appeal, May 14, 2008) (In which the Appellate Authority increased the length of suspension determined by the Administrative Law Judge). See also OPR v. Yoder, Complaint No. 2007-33 (in which another Administrative Law Judge found that willful failure to timely file a return was disreputable conduct within section 10.51(f)). Willfulness is not defined in Treasury Circular 230. The Appellate Authority previously has applied the definition of willfulness used in criminal cases, in particular Cheek v. United States, 498 U.S. 192 (1991) and United States v. Pomponio, 429 U.S. 10 (1976). I question whether the criminal standard is the appropriate standard to apply in the context of a civil proceeding to determine whether disciplinary action should be taken for professional misconduct. Neither party has briefed the issue regarding the proper definition of willfulness under Treasury Circular 230. This is most likely because the Appellate Authority has previously adopted the standards defined in Cheek and Pomponio. Therefore, for the purposes of this case, I will apply the definition of willfulness as described in Cheek and Pomponio. I invite the parties in future cases to brief what the appropriate definition for willfulness should be under Treasury Circular 230. As described in Cheek and Pomponio, willful means the voluntary, intentional violation of a known duty. It does not require any showing of motive. Since 1993, Respondent has worked full time either as a tax attorney for the Internal Revenue Service or as a tax attorney in private practice. He has an L.L.M. in tax and considers himself one of the most highly regarded tax controversy attorneys in Boston. He was aware of the requirement to file returns, and the requirement to file returns timely. For each of the tax years at issue, Respondent filed extensions of time in which to file his individual income tax returns. This further establishes that he knew about the time deadlines for filing returns. Respondent's failure to file the 2002 return and failure to timely file the returns for the years 2000, 2001, 2003, 2004, and 2005 was a violation of a known duty. I find that Respondent willfully violated section 10.51. Practitioners are all a twitter about the suggestion that a lighter test of disreputable conduct may now be in he offing even though that lighter test (whatever precisely it is) was not applied in that case. As far as I know, the Cheek willfulness test was used both in criminal cases and in civil cases where willfulness was at issue (for example in the civil fraud penalty context). The difference was the level of proof the Government must establish -- beyond a reasonable doubt in the criminal case and by clear and convincing evidence in a civil case. But the definition was the same. Although OPR is in a different context, but the word used has a settled meaning. Since the the standard is defined by the term willfulness, I don't understand why that well understood term should be redefined. Finally, in my earlier blog, I noted the very light slap on the wrist given the practitioner. This may be a lesson to negotiate hard with the OPR so that it does not get to the ALJ or the Appellate Authority. In United States v. Peel, 595_F.3d 763 (7th Cir. 2010), Judge Posner addresses a variation of the double jeopardy issue in a nontax case. I address Peel in this blog because variations of the double jeopardy theme do arise in tax cases. I discuss my notions on the related themes -- lesser-included offense and merger -- in my text, but here devote the discussion to Judge Posner's decision in Peel. The test for whether there are two offenses or only one, is whether each provision requires proof of a fact which the other does not. The test was flunked here because convicting Peel of obstruction of justice did not require proof of any fact that didn't have to be proved to convict him of bankruptcy fraud. It was thus a lesser-included offense of bankruptcy fraud and the Blockburger test makes clear, and many cases hold, that to punish a person for a lesser-included offense as well as the "including" offense is double jeopardy unless Congress intended the double punishment. The government does not argue that Congress intended that. This is like a case in which a person is tried for both murder and attempted murder. The elements are different, but since conviction for murder automatically convicts the defendant of attempted murder (for there can be no murder without attempting the deed), the defendant cannot be convicted of both crimes. There is an exception for cases in which the defendant was convicted of the lesser-included offense before he could have been prosecuted for the greater one, as when the defendant is convicted of attempted murder and later his victim dies. In such a case he can be tried for murder. The exception has no application to this case, which must therefore be remanded with directions that the judge vacate one of the two convictions. The defendant argues that his conviction for obstruction of justice is the one that should be vacated, even though it carries the higher statutory maximum sentence, because it is a lesser-included offense of bankruptcy fraud. It is lesser in the sense of having fewer elements, because one can commit obstruction of justice without committing bankruptcy fraud but not bankruptcy fraud without committing obstruction of justice. That is the only sense of "lesser" that matters under the Blockburger test: that offense A has elements a, b, c, and offense B has elements a, b, c, and d, so that conviction of B automatically convicts the defendant of A as well. The remedy is to eliminate the doubleness. But which conviction must be vacated is not dictated by the Constitution. It is a matter committed to the trial judge's discretion because functionally it is a decision concerning the length of the defendant's sentence. But usually it's the conviction carrying the lesser penalty that is vacated. As we noted in Lanier, it would be paradoxical to give the defendant a shorter sentence than he would have received had the government not also charged him with the less serious offense. What is true is that in a case in which the lesser-included offense has fewer elements and is the less serious offense, vacating the sentence for the graver offense would be an abuse of discretion: imagine convicting a person of attempted murder and of murder and punishing him only for the attempt. This is not such a case; the lesser-included offense of obstruction of justice is the graver offense. With that, the Court remanded the issue of which crime to vacate to the sound discretion of the district court. In addition to addressing the double jeopardy issue, Judge Posner also held that, for sentencing purposes, the financial loss attributable to a future stream of payments may be discounted to current value in determining the base offense level. Presumably the same analysis would apply in tax cases if the tax loss amount includes future intended tax losses. New York Times reported yesterday here that the Swiss are grousing about the the German Governments purchase and potential use of "stolen" Swiss bank data to proceed against German persons who have cheated on their taxes. To the extent that those German persons did cheat, of course, they were enabled by the Swiss bankers. The Swiss have no problem with enabling crime in other countries, but take offense when those other countries enable crimes in Switzerland (specifically by paying for "stolen" Swiss bank data). At any rate, the article reports that some influential person asserted that “If Germany buys stolen bank data, we will work for a change in the law so that the complete Swiss accounts of German people holding public office have to be disclosed.” The article reports that, although influential, it may be unlikely that such a proposal would be approved by the legislature. Still, it is symptomatic of the angst that the Swiss have. By the way, I personally do not think it would be a bad result to have the Swiss disclose the bank data of all known officials of other countries. That would be a great start. Finally, as part of its effort to stop abusive tax scheme promotions, the Division uses parallel civil and criminal proceedings. To ensure that the IRS and Division attorneys make maximum use of all available legal remedies, the Division has created a Special Counsel for civil/criminal coordination, who provides agents and attorneys with one-on-one assistance in handling parallel civil and criminal proceedings, and who also conducts training for IRS and Division attorneys and participates in various bar panels. The Division also maintains an online resource library on criminal tax prosecutions and parallel proceedings. JAT Note: The End. That is all the cutting and pasting. Tax Division attorneys also play significant roles in investigating and prosecuting tax violations committed in the course of other criminal conduct. Where criminals evade taxes on income from illegal sources, tax charges provide a valuable complement to charges for the underlying criminal activity. One area where this frequently occurs is narcotics trafficking cases generated by the Organized Crime and Drug Enforcement Task Force program, which the Tax Division actively supports. Tax Division attorneys also fight against international terrorism, and litigate tax charges related to health care fraud, securities fraud, mortgage fraud, public corruption, and money laundering. In October 2009, in United States v. Sims Lawson, Jr. (N.D. AL), Lawson was sentenced to 70 months in prison for three counts of filing false tax returns in connection with an embezzlement scheme. In June 2009, Lawson pleaded guilty to willfully failing to report income embezzled from an estate that he managed. Lawson was hired in 2002 to co-manage the estate and that his duties included managing the books and records of the estate, collecting on loans made by the estate, and determining the estate’s value for tax purposes. In 2005, the estate received an ex parte court order removing Lawson from his responsibilities as trustee. It was later determined that, from 2002 until 2004, Lawson had misappropriated at least $721,417 and failed to report that income on his personal tax returns. The estate also paid Lawson an additional $297,352, which he failed to report on his personal tax return. The Tax Division regularly provides advice and assistance to United States Attorneys, Tax Division attorneys, and IRS agents seeking extradition, information, and cooperation from other countries for both civil and criminal investigations and cases. Occasionally, the Tax Division provides assistance to attorneys from other agencies and offices of the United States government, including the Federal Bureau of Investigation, the Securities and Exchange Commission, and the Department of Homeland Security. The Tax Division is also working closely with IRS Criminal Investigation - International to develop a nationwide continuing professional education class for Special Agents concerning international tax matters. The Tax Division also works to increase cooperation with foreign nations, recognizing that reciprocal engagements ultimately further the Division’s mission. For example, the Division has participated in consultations both with France and Canada in an effort to improve the exchange of information under our income tax treaties with those countries. The Division periodically hosts visiting delegations of tax officials from countries interested in learning more about federal tax enforcement in the United States. The Division continues to work to increase cooperation between the United States and countries in Latin America and the Caribbean by providing instructors for the International Law Enforcement Academy in El Salvador. The Tax Division is an important partner in the U.S. negotiating team for Double Taxation Conventions, Tax Information Exchange Agreements, and other international agreements concerning tax information. Recently, the Tax Division participated in the historic negotiations that led to the signing of Tax Information Exchange Agreements with the Principality of Liechtenstein and with Gibraltar. The Tax Division is also involved in negotiations with the governments of Switzerland and Luxembourg concerning historic changes to the exchange of information provisions in our income tax treaties with those countries. Other negotiations are ongoing. Through the President’s Financial Fraud Enforcement Task Force, the Tax Division investigates and prosecutes financial crimes such as corporate fraud and mortgage fraud. The Division also participates in the formulation of national policies, programs, strategies and procedures in cooperation with other law enforcement components in a coordinated attack on financial crime. Prosecutions of the promoters of fraudulent tax schemes include cases involving accountants and attorneys at national firms. In May 2009, in United States v. Robert Coplan, et al. (S.D. N.Y.), Robert Coplan, Martin Nissenbaum, Richard Shapiro, and Brian Vaughn, each a current or former partner of the accounting firm Ernst & Young (E&Y), were found guilty following a ten-week jury trial of conspiracy, tax evasion and other charges relating to the design, marketing and implementation of tax shelters sold by E&Y. All four defendants, as members of E&Y’s national individual tax shelter group, led an effort to design and market tax shelter transactions used by wealthy individuals to eliminate, reduce or defer tax liabilities on annual income that generally exceeded $10 or $20 million. Between 1999 and 2002, tax shelter transactions implemented by the defendants and their co-conspirators generated billions of dollars in non-economic or paper tax losses that were used to offset actual income or gain recognized by the firm’s clients. The defendants and their co-conspirators, which included tax, accounting and financial industry professionals, and law firms, worked to design, implement and defend the tax shelter transactions in ways intended to conceal the true facts and circumstances of the transactions from the IRS. In June 2009, in United States v. Charles W. Bee, Jr. (S.D. N.Y.), the former head of International Tax at BDO Seidman and the leader of its Tax Solutions Group, Charles Bee, pleaded guilty to conspiracy to defraud the IRS with respect to BDO's tax shelter promotions, tax evasion with respect to a BDO short options strategy client, and perjury for his false testimony in a 2005 deposition in the Jade Trading case in the Court of Federal Claims. Bee, along with co-conspirators Michael Kerekes and Adrian Dicker who have already pleaded guilty, as well as other members of the Tax Solutions Group, helped to design, sell, and implement the short sale and short options tax shelter strategies with lawyers from Jenkens & Gilchrist and a broker at a bank. Bee earned more that $20 million in profit distributions and bonuses from the tax shelter sales. The tax loss is estimated to be more than $200,000,000. In April 2009, two former partners at KPMG and an attorney were sentenced to prison for criminal tax fraud, in United States v. Robert Pfaff, et al. (S.D.N.Y.). Robert Pfaff, a former KPMG tax partner, was sentenced to 97 months in prison; John Larson, a former senior KPMG tax manager was sentenced to 121 months in prison; and Raymond J. Ruble, a former partner at the law firm Brown and Wood, was sentenced to 78 months in prison, for federal charges related to the sale of illegal shelters that helped wealthy clients evade hundreds of millions of dollars in taxes. In March 2009, in United States v. Adrian Dicker (S.D.N.Y. ), a former Vice-Chairman of the BDO Seidman accounting firm, pled guilty to conspiracy to defraud the IRS in relation to the promotion of false and fraudulent tax shelter transactions and one count of tax evasion related to the taxes of a client. In January 2009, in United States v. Charles Bolton (S.D.N.Y. ), the defendant pled guilty to a one-count information charging him with conspiracy to impede and impair the IRS and to commit offenses against the United States, including making false and fraudulent statements to the IRS and obstructing and impeding the due administration of the internal revenue laws. Bolton, through a group of financial companies he owned and operated, implemented two tax shelter transactions marketed and sold by the accounting firm Ernst & Young. The tax shelters, known as CDS and CDS Add-On, were used by wealthy taxpayers to fraudulently convert ordinary income into capital gains, and to improperly defer the tax liability on the capital gains. Tax Division attorneys play an important role in the fight against international terrorism. Prosecution of defendants who utilize the tax laws of the United States in order to help fund terrorism, such as through the use of non-governmental entities to fund terrorism, has become an important priority of the Criminal Enforcement Sections. In FY 2008, the Tax Division hired a Senior Litigation Counsel to manage matters associated with counter-terrorism and terrorist-financing and to lead teams of attorneys in investigating, developing, and prosecuting criminal tax cases with a nexus to counterterrorism and terrorism financing. For example, trial is currently scheduled for summer 2010 in United States v. Islamic American Relief Agency, et al. (W.D. Mo.). The indictment charges the Islamic American Relief Agency, along with five officers, employees, and associates, with illegally transferring funds to Iraq in violation of federal sanctions. The defendants were also charged with stealing government funds and corruptly endeavoring to obstruct the due administration of the Internal Revenue Code by misusing tax-exempt charity status to raise and transfer funds to Iraq in violation of federal sanctions and by attempting to avoid government detection of their illegal activities. Corrupt accountants and unscrupulous tax return preparers present a serious law enforcement concern. Some accountants and return preparers dupe unwitting clients into filing fraudulent returns, while others serve as willing “enablers,” providing a veneer of legitimacy for clients predisposed to cheat. In either case, the professionals often commit a large number of frauds, and their status as professionals may be perceived as legitimizing tax evasion, thereby promoting disrespect for the law. Tax Division attorneys vigorously investigate and prosecute such cases. For example, in August 2008, in United States v. Dennis B. Evanson, et al. (D. Utah), Evanson, an attorney, was sentenced to 10 years in prison and three accountant co-defendants were also sentenced to prison for their $20 million tax fraud scheme. After a trial in February 2008, Evanson was convicted of conspiracy to commit mail and wire fraud, tax evasion, and other tax crimes. Evanson and his codefendants conspired to conceal portions of their customers’ income from the IRS and to create false deductions for the purpose of reducing the income taxes paid by their customers. The Division is actively engaged in prosecuting the promotion or use of fraudulent tax shelters and other schemes to evade taxes and hide assets. The number of taxpayers who use these bogus schemes to improperly reduce, or totally evade, their federal income tax liabilities has increased [*17] significantly in recent years. Some schemes involve the use of domestic or foreign trusts to evade taxes. Promoters of these schemes often use the internet to aggressively market these trusts to the public, and rely upon strained, if not demonstrably false, interpretations of the tax laws. Employing what they often call “asset protection trusts” (ostensibly designed to guard an individual’s assets from legitimate creditors, including the IRS), these promoters are in fact assisting taxpayers to fraudulently assign income and conceal ownership of income-producing assets in order to evade paying their taxes. In October 2009, in United States v. Roderick Prescott (D. Ore.) Roderick Prescott, a former principal of National Trust Services (NTS) was sentenced to 30 months in prison for pleaded tax evasion. Prescott and his former business partner Leroy Fritts earned significant income from the nationwide promotion and sale of abusive trusts through NTS. Prescott and Fritts deposited approximately $3.5 million into various bank accounts through the sale of such trusts. They also earned income from recruiting clients of NTS to invest in Fountainhead Global Trust (FGT), a purported offshore investment that promised returns as high as 50 percent per year. FGT was a Ponzi scheme which collected approximately $20 million in investors’ funds from 1995 through 1999. FGT transferred some of the money to an offshore account in the Cayman Islands at the Bank of Bermuda, ostensibly to be invested in high-interest debt through a Florida entity called “Cash 4 Titles.” Prescott and Fritts then funneled part of the money in the account back to themselves. Prescott and Fritts used an array of purported trusts and related bank accounts, including numerous offshore bank accounts at the Bank of Bermuda in the Cayman Islands, to conceal their income from the IRS. Prescott and Fritts also used false or fictitious taxpayer identification numbers and offshore credit cards in fake names issued to them by the Bank of Bermuda in the Cayman Islands. In May 2008, in United States v. Michael A. Vallone, et al. (N.D. Ill.), a jury convicted six defendants of a $60 million tax fraud conspiracy for participating in a scheme to market and sell to wealthy taxpayers sham domestic and foreign trusts through “The Aegis Company.” The Chicago-based investigation has resulted in nationwide convictions of more than 30 defendants, with charges pending against approximately 30 other defendants around the country. All six defendants were sentenced to at least 10 years in prison. In October 2009, Vallone was sentenced to more than 18 years in prison. In March 2009, co-defendant Edward B. Bartoli was sentenced to 10 years in prison. The Tax Division continues to play a lead role in investigations and prosecutions involving the use of foreign tax havens. Increased technical sophistication of financial instruments and the widespread use of the internet have made it easy to instantly move money in and out of the United States, around the world, irrespective of national borders. Using tax havens facilitates evasion of U.S. taxes and the commission of related financial crimes. Offshore tax schemes are often difficult to detect and prosecute, so the IRS has allocated resources to target taxpayers who engage in offshore activity for the purpose of underreporting income. Income tax evaders and other criminals use banks located in countries that have strict bank secrecy laws and that will not, or cannot, provide assistance to investigators for the United States. Sophisticated criminals may also use non-traditional tax haven countries, such as Latvia. Despite these difficulties, the Division has been successful in prosecuting these tax cheats. In February 2009, in United States v. UBS AG (S.D. Fla.), UBS AG, Switzerland’s largest bank, entered into a deferred prosecution agreement, admitting guilt on charges of conspiring to defraud the United States by impeding the IRS. As part of the agreement, UBS, based on an order by the Swiss Financial Markets Supervisory Authority, agreed to immediately provide the United States with the identities of, and account information for, certain United States customers of UBS’s cross-border business. Under the agreement, UBS also will expeditiously exit the business of providing banking services to United States customers with undeclared accounts and will pay $780 million in fines, penalties, interest, and restitution. The Division has also obtained the return of indictments and convictions of individuals associated with offshore schemes. For example, in August, 2009, in United States v. Bradley Birkenfeld, et. al., (S.D. Fla.), Birkenfeld, a former UBS banker, was sentenced to 40 months in prison following his June 2008 guilty plea to conspiring with an American billionaire real estate developer, Swiss bankers, and his co-defendant, Mario Staggl, to help the developer evade paying $7.2 million in taxes by assisting in concealing $200 million of assets in Switzerland and Liechtenstein. In his plea Birkenfeld admitted that between 2001 and 2006, while employed as a director in the private banking division of Swiss bank UBS, he routinely traveled to and had contacts within the United States to help wealthy Americans conceal their ownership in assets held offshore and evade paying taxes on the income generated from those assets. In November, 2008, in United States v. Raoul Weil (S.D. Fla.), an indictment was returned charging Weil with conspiracy to defraud the United States and the IRS. Weil was allegedly the senior UBS executive in charge of the wealth management business and private banking, who supervised unlawful cross-border activities carried out by bankers and their managers that helped wealthy Americans conceal their income and assets from the IRS. In January 2009, the District Court declared Weil to be a fugitive. The Division has begun the prosecution of UBS clients, using information obtained through the deferred prosecution agreement. For example, in June 2009, in United States v. Steven M. Rubinstein (S.D. Fla.), Rubinstein, an accountant for an international company, pleaded guilty to filing a false tax return for 2004 that failed to report he had a financial account at UBS in Switzerland and failed to report the income he earned on the accounts. In April 2009, in United States v. Robert Moran (S.D. Fla.), Moran pleaded guilty to filing a false income tax return. Moran concealed more than $3 million in assets in a secret bank account at UBS. In July 2009, in United States v. Jeffrey P. Chernick (S.D. Fla.), Chernick, another UBS client from Stanfordville, N.Y., pleaded guilty to charges of filing a false tax return. The prosecution of UBS clients has included cases all over the country. In August 2009, in United States v. John McCarthy (C.D. Cali. ), McCarthy, a UBS client, agreed to plead guilty to one count of wilfully failing to file a Foreign Bank and Financial Accounts report (FBAR). In September 2009, in United States v. Jorgen Homann, (D.N.J.) Jorgen Homann, of Saddle River, New Jersey, pleaded guilty to failure to file a Report of Foreign Bank or Financial Accounts. Homann accepted responsibility for concealing more than $5 million in Swiss bank accounts. On October 5, 2009, in United States v. Roberto Cittadini, (W.D. Wash.) Roberto Cittadini, of Bellevue, Washington, pleaded guilty to one count of filing a false tax return. Cittadini concealed nearly $2 million in Swiss bank accounts. The core of the Tax Division’s criminal work involves so-called “legal source income” cases. These cases encompass tax crimes involving unpaid taxes on income earned legally (e.g., a restaurateur who skims cash receipts or a doctor who inflates deductible expenses.) When these cases involve difficult issues of tax law or complex methods of proof, United States Attorneys’ Offices often call upon the special skills that Tax Division prosecutors bring to the Justice Department’s goal of combating financial fraud and reducing white-collar crime. Evasion of taxes on income from legal sources significantly erodes the federal tax base. The Division’s enforcement activities are a strong counter to that erosion, providing a significant deterrent to those who contemplate shirking their tax responsibilities. These prosecutions often receive substantial local press and media coverage and assure law-abiding citizens who pay their taxes that tax cheats are not getting away with it. The government’s failure to vigorously prosecute such cases would undermine the confidence of law-abiding taxpayers and jeopardize the government’s ability to operate a revenue collection system whose cornerstone is voluntary compliance. During the past year, Division attorneys investigated and/or prosecuted cases involving tax crimes committed by individuals from all walks of life, including corporate executives, business owners, attorneys, doctors, dentists, movie actors, and others. For example, in March 2009, in United States v. Glenn E. Lockwood (D. Alaska), the defendant, a dentist, was sentenced to five years in prison. The defendant was convicted of evading taxes of approximately $575,000 during tax years 2000 through 2003 following a jury trial in October 2008. The defendant had created a corporation for the purpose of entering into a fictitious offshore executive leasing and deferred compensation scheme to fraudulently reduce his taxable income and to channel his income into offshore investments. He used nominees and sham trusts to disguise his interest in assets, and he used corporate funds to pay for personal expenses that were then fraudulently deducted as business expenses. 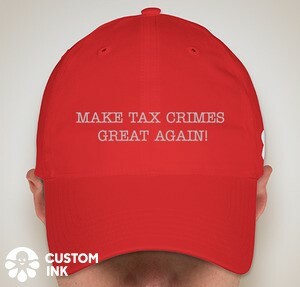 The Tax Division authorizes, and either conducts or supervises, almost all prosecutions arising under the federal tax laws.13 The Division’s twin criminal goals are to prosecute criminal tax violations and to promote a uniform nationwide approach to criminal tax enforcement. In many cases, the Tax Division receives requests from the IRS to prosecute tax violations after the IRS has investigated them administratively. In other cases, the IRS asks the Tax Division to authorize grand jury investigations to determine whether prosecutable tax crimes have occurred. Tax Division prosecutors review, analyze, and evaluate these referrals to assure that uniform standards of prosecution are employed and that criminal tax violations warranting prosecution are prosecuted. After the Division authorizes tax charges, the cases are handled either by a United States Attorney’s Office (USAO) or, in complex or multijurisdictional cases or cases in which the USAO is recused or requests assistance, by the Tax Division’s experienced prosecutors. In addition to their substantial litigation caseloads and review work, Tax Division prosecutors also conduct training seminars for IRS criminal investigators and Assistant U.S. Attorneys and often provide advice to other federal law enforcement personnel, including the DEA and FBI. n13 The Tax Division does not review or supervise most excise tax cases, which are the responsibility of the Criminal Division. Criminal workload has grown primarily due to an increasing number of complex cases. For FY 2009, the average workload of each Division prosecutor, which consists of evaluating and litigating cases, was 2,012 hours. This is well in excess of the 1,776 hour workload baseline discussed earlier. The number of criminal indictments obtained by Tax Division criminal trial attorneys has increased significantly over the past four years. During FY 2009, Division criminal attorneys obtained indictments in 100 cases. Additionally, Division criminal attorneys obtained convictions in 135 cases. In contrast, Division attorneys obtained 127 convictions in FY 2008. The Tax Division’s criminal trial attorneys investigate and prosecute individuals and corporations that attempt to evade taxes, willfully fail to file returns, submit false tax forms, or otherwise violate the federal tax laws. They also investigate and prosecute tax violations that have been committed along with other criminal conduct, such as securities fraud, bankruptcy fraud, health care fraud, organized crime, public corruption, mortgage fraud, and narcotics trafficking. In addition, Tax Division attorneys investigate and prosecute domestic tax crimes involving international conduct, such as the illegal use of offshore trusts and foreign bank accounts to conceal taxable income and evade taxes. They also conduct terrorism-related and Organized Crime and Drug Enforcement Task Force (OCDETF) criminal investigations, and prosecute organizers of internet scams. The Tax Division’s Criminal Appeals and Tax Enforcement Policy Section (CATEPS) conducts appeals in criminal tax cases prosecuted by Division attorneys and supervises appeals in matters tried by the USAOs around the country. Similar to the initial review of tax cases by criminal trial attorneys, the appellate review plays a vital role in promoting the fair, correct, and uniform enforcement of the internal revenue laws. CATEPS also assists in the negotiation of international tax assistance treaties and policy issues, such as the application of the sentencing guidelines. The Tax Division consists of a single Decision Unit (General Tax Matters) supporting the Department’s Strategic Goal 2 – Prevent Crime, Enforce Federal Laws, and Represent the Rights and interests of the American People. The FY 2011 budget request assumes 69% of the Division’s budget and expenditures can be attributed to its Civil Tax Litigation and Appeals and 31% percent to Criminal Tax Prosecution and Appeals. This budget request incorporates all costs, including mission costs related to cases and matters, mission costs related to oversight and policy, and overhead. DOJ Tax has submitted its FYE 2011 Congressional Budget. Blog readers can click on the link and review the whole thing. In several installments, I will "cut and paste -- and perhaps comment on -- the parts I think my readers of this criminal tax blog might be interested in. The numbers in brackets with an asterisk indicates the page number for the material after the number in bracket. Enforcing the tax laws effectively requires not just a civil component, but strong criminal enforcement. To help achieve uniformity in nationwide standards for criminal tax prosecutions, the Tax Division’s criminal prosecutors authorize almost all grand jury investigations and prosecutions involving violations of the internal revenue laws. Alone or in conjunction with Assistant United States Attorneys, Tax Division prosecutors investigate and prosecute the crimes. In the last few years, the Division has authorized between 1,300 and 1,800 criminal tax investigations and prosecutions per year. n2 A widely regarded study concluded that the marginal indirect revenue-to-cost ratio of a criminal conviction is more than 16 to 1. While no comparable study of civil litigation exists, the same research suggests that IRS civil audits -- the results of which are not publicly disclosed -- have an indirect effect on revenue that is more than 10 times the adjustments proposed in those audits. Alan H. Plumley, The Determinants of Individual Income Tax Compliance, pp. 35, 40, Internal Revenue Service Publication 1916 (1996). n3 “The IRS ... found that taxpayers who heard about IRS audit activity via the media [rather than through word of mouth] were less likely to cheat...” Leandra Lederman, The Interplay Between Norms and Compliance, 64 Ohio. St. L. J. 1453, 1494-95 (2003), quoting Robert M. Melia, Is the Pen Mightier than the Audit?, 34 Tax Notes 1309, 1310 (1987). n4 See IRS Oversight Board 2008 Taxpayer Attitude Survey, February, 2009, http://www.treas.gov/irsob/board-reports.shtml. n5 See Internal Revenue Service Data Book, 2008, Table 1, available at www.irs.taxstats. From the website, select “IRS Data Books” in the “Products, Publications, & Papers” section. Nathan J. Hochman, Everything You Wanted to Know About How to Obtain a Prosecutorial Declination of a Federal Tax Case and Were Afraid to Ask. Scott D. Michel, Undeclared Foreign Accounts -- Voluntary Disclosures and FBARs After the IRS Settlement Initiative. Steven Toscher and Barbara Lubin, When Penalties Are Excessive -- The Excessive Fines Clause as a Limitation on the Imposition of the Willful FBAR Penalty. Note to readers, I will try to identify recent articles of interest to readers of this blog and, where I can obtain permission, try to have links to the articles for reading or downloading. If the reader comes across articles of interest to this blog, please let me know by email jack@tjtaxlaw.com. Thanks. The key starting component for the required advisory Sentencing Guidelines calculations is the tax loss – the greater the tax loss, the greater the starting point and the greater the ending point in the Guidelines calculations. The Government is required to prove that starting tax loss amount by a preponderance of the evidence. The Guidelines provide that the sentencing court may make a “reasonable estimate based on the available facts” can be used unless the Guidelines can be calculation with more precision. SG § 2T1.1, cmt. n. 1. In establishing the tax loss under § 2T1.1 of the Sentencing Guidelines, the government proposed that the district court consider the 4,321 Schedule A returns filed by Mehta over the four-year period under investigation to find a tax loss of $ 2,508,000. The IRS had selected approximately 941 returns for civil audit by scoring each of the Schedule A returns and choosing those most likely to produce additional tax liability. Of these 941, 775 were selected for a correspondence audit, and the remaining returns were accepted as filed. As part of the correspondence audit, the IRS furnished the taxpayers with a computation of what their additional tax liability would be if they did not produce documentation. Approximately 30% of the taxpayers (or 307 returns) signed IRS Form 4549 agreeing to pay the additional tax assessment. The total additional tax liability for these 307 returns was approximately $ 473,000, and the average tax assessed "per agreed-upon audit" was $ 1,531. Of the 4,321 Schedule A returns filed, the district court considered only 2,500 returns which Mehta filed during the last two years of the investigation. The court extrapolated the loss for these 2,500 returns. It multiplied 2,500 by 30% to equal 750 returns, and multiplied 750 by the $ 1,500 average audited tax loss per return to arrive at $ 1,125,000. Therefore, the court calculated a tax loss between $ 1,000,000 and $ 2,500,000 pursuant to Guideline § 2T4.1, resulting in a base offense level of 22. The court applied a two-level increase because Mehta was in the business of preparing tax returns. U.S.S.G. § 2T1.4(b)(1). The Guidelines range for offense level 24 is 51-63 months, but the district court varied downward and sentenced Mehta to 48 months imprisonment. One of the consequences for tax professionals is OPR disciplinary action that can impede the target’s ability to make a living. For no legitimate business purpose, Loeser's clients were advised to forward funds from their businesses to two corporations Loeser controlled. The corporations then rebated the funds to his clients. Loeser prepared the clients' books and business tax returns expensing and deducting the entire amounts that were paid to the corporations. The IRS alleged Loeser violated Circular 230 by giving false or misleading information to the Department of Treasury and the IRS. Now, as I see it, the crimes indicated by this description include at least tax evasion (§ 7201, including by aiding and abetting), tax perjury (§ 7206(1), at least by aiding and abetting), false documents (§ 7206(2)), tax obstruction (§ 7212(a)), false statements (18 USC § 1001), and Klein defraud conspiracy (18 USC § 371). These are all felonies with maximum sentences of 3 and 5 years. Yet, the release gives no indication that this practitioner was prosecuted. For these misdeeds, which seem very serious to me, this practitioner punishment received a rather light 12 month suspension. I just wonder whether, if a person was convicted and sentenced say for 2 years incarceration, he or she could serve the suspension period contemporaneously with the sentence so that at least by the second year, he or she could earn some extra money in prison by preparing returns? Another UBS Depositor, Jack Barouh, has pled to tax perjury. The plea fits the mold previously created in the plea deals to date. The DOJ Tax press release with some of the details is here. He funded the account with business skimmings. He used nominee corporations to own the accounts and then, when he wanted to repatriate to the U.S., a "Swiss attorney, persuaded" him to create a Hong Kong account in the name of a nominee HK corporation which then nominally paid him a bogus consulting fee to push the funds into the U.S. "The Swiss attorney knew the defendant was not going to perform any consulting work." Sounds like the Swiss attorney may have some explaining to do. Just one comment, in many of these situations where there are not entities involved but only directly owned Swiss accounts, there was often no discussion between the U.S. depositor and the Swiss banker about U.S. tax. At best or worst (depending upon perspective), there was an unspoked understanding that that was the game being played. But, as the situation in this plea indicates, at some point the Swiss enablers moved beyond unspoken understandings. 1. The parties agree to Sentencing Guideline components as follows: (a) tax loss between $400,000 and $1,000,000 (actually stipulated to be $736,269, but the bracketed amounts are what is important for the guidelines calculations); (b) the crime involves sophisticated means, and (c) Government agrees to the standard acceptance of responsibility downward adjustments (2 or 3 as appropriate, which, of course, 3 is appropriate). The Guideline range I calculate on these components it is 46-57 months, which exceeds the maximum 3 year sentence for the crime of conviction (tax perjury). The Government does agree "to recommend that the defendant be sentenced at the low end of the guideline range, as that range is determined by the court," provided only that the defendant cooperates and does not misbehave before sentencing. I don't know what exactly that gets for the defendant other than that the Government signals to the court that the defendant may be a nice guy and perhaps that a downward variance might be appropriate. Of course, the courts have uniformly sentenced lower other offshore account recipients by Booker downward variance, so presumably that is the hope of the defendant. 2. Defendant is required to cooperate in determination of his liability for taxes, penalties and interest. Further, "[n]othing in this agreement shall limit the IRS in its civil determination, assessment, and collection of any taxes, interest, and/or penalties that the defendant may owe." I wonder if the IRS will require the defendant to go to years earlier than 2002. (I doubt it, so that to that extent, the defendant has profited from his offshore caper.) Of course, as noted above, he does cap his FBAR exposure. 3. The defendant began the skimming and depositing in offshore banks since approximately 1976, so he has presumably achieved a substantial tax savings over the years and all of this would easily fall in the concept of relevant conduct that should have entered the tax loss for guidelines purposes. Yet, it appears that, as usual, the Government and the courts will put blinders on for years earlier than 2002. I guess the Government is here to help. Between November 2003 and March 2004, SWISS MONEY MANGER #1 misappropriated more than $5 million from the Domilou account by transferring the funds to a UBS account in the name of another Panamanian corporation which was owned by SWISS MONEY MANAGER #1 and his wife. 6. I wonder if the defendant got the benefit of an unclaimed deduction in the guidelines calculation of tax loss for the money stolen from him. As readers have noticed before in my blogs, there is some variance (if that is a fair word) among the circuits as to whether unclaimed deductions can enter the guidelines calculations. Beginning in late 2007, the defendant asked SWISS ATTORNEY #1 and SWISS MONEY MANAGER #2 about making a voluntary disclosure and reporting his offshore assets to the Internal Revenue Service. On several occasions, the defendant was discouraged from doing so by SWISS ATTORNEY #1 and MONEY MANAGER #2. MONEY MANAGER #2 told the defendant that it would involve too much paper work to make a voluntary disclosure. SWISS ATTORNEY #1 told the defendant that it was not necessary to consult with a United States tax attorney because a Swiss attorney typically initiates a voluntary disclosure, that he was not on the list of people being reported by UBS, that the best thing to do was to move the money from UBS to another financial institution, and that, if he did not want to receive the "consulting fees" from Amery Investments Ltd., he could purchase a life insurance policy in order to repatriate the money to the United States after his death. Q 53. I am an actual or former UBS AG client who submitted a voluntary disclosure application to the IRS. I would like to expedite submission of my UBS AG account information to the IRS by providing a waiver directly to UBS AG. How does this work? A53. THE UNITED STATES OF AMERICA AND THE SWISS CONFEDERATION ENTERED INTO AN AGREEMENT ON AUGUST 19, 2009, CONCERNING THE REQUEST FOR INFORMATION FROM THE INTERNAL REVENUE SERVICE OF THE UNITED STATES (“IRS”) REGARDING UBS AG, A CORPORATION ESTABLISHED UNDER THE LAWS OF THE SWISS CONFEDERATION (“UBS AG”). SECTION 1.4 OF THAT AGREEMENT PROVIDES THAT THE IRS WILL PROMPTLY REQUEST ALL UBS AG CLIENTS WHO ENTER INTO THE VOLUNTARY DISCLOSURE PROGRAM ON OR AFTER AUGUST 19, 2009, TO GIVE A WAIVER TO UBS AG TO PROVIDE ACCOUNT DOCUMENTATION TO THE IRS. SUCH A WAIVER WILL EXPEDITE THE DELIVERY OF RELEVANT ACCOUNT INFORMATION TO THE IRS. If you are an actual or former UBS AG client, we are requesting that you give a waiver to UBS AG to provide your UBS AG account information to the IRS. Should you have any questions regarding how to provide a waiver to UBS AG, you may consult the UBS AG website at www.ubs.com, or call UBS AG at +41 44 237 56 10. Q 54. I have applied to the offshore voluntary disclosure program and would like to make a payment to stop the running of interest. Where should I send my payment to make sure it is processed properly? Later, when you and the IRS enter into a closing agreement, the IRS will apply the payment to the appropriate taxes and periods.